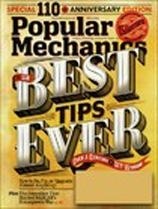 Popular Mechanics is a chronicle of emerging technology and innovation. Looking at cars, trucks, motorcycles, and other automobiles issues explain how things work in a way that everyone can understand . Plus, the magazine features a column by &quot;Tonight Show&quot; host and biker Jay Leno.